It has become one of my favorite pieces of furniture. In larger rooms, I use a few different ones in contrasting materials. Whether rectangular, round, oval or free-form, the ottoman (cue choir of angels here) is the item I recommend most for living rooms and dens. It is also the one that ends up getting used most frequently. The obvious first use of this wonderful piece of upholstery sent from Heaven would be the footstool (with shoes off, please.) 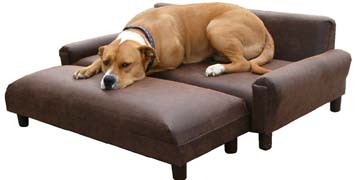 I hate recliners, so including an ottoman in front of your favorite easy chair or sofa allows you to literally kick your feet up and relax as you watch a movie, read the paper, or cuddle under a blanket. 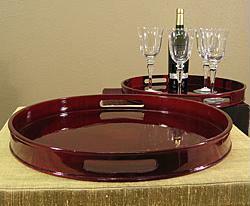 If you purchase a tray slightly smaller than the piece itself, you then have a serving area to place drinks, quick bites to eat in front of the TV, and anything else you would normally place on a coffee table. If you have young kids, you won’t really have to worry about them bumping their heads on the corners as they are learning to walk, like you normally would if you had a traditional coffee table. Soft edges=no bruises. 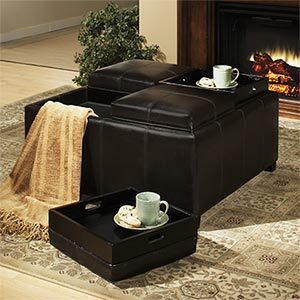 I also love those storage ottomans with lids… perfect for keeping pillows, blankets, books, games, or anything else you can think of! Having a party? Need extra seating? Boom, there you go! No rusty folding chairs for you! 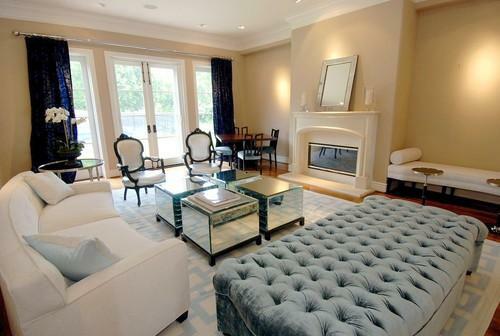 Just move a few ottomans to create and complete small seating areas throughout the room. Have a very large living room, and need to divide it visually? No need to build a wall or add one of those cheap screens. Two ottomans in a line creates a barrier about 6 feet in length. You now have two distinct areas, and are able to keep the overall large sense of space in the room! So, do yourself a favor, if you don’t have one yet, make the investment and at least get one or two ottimans for your living room or den. I know you’ll be glad you did… and let me know when you do! I would love to hear what you think! For more great images and info, check out my website!